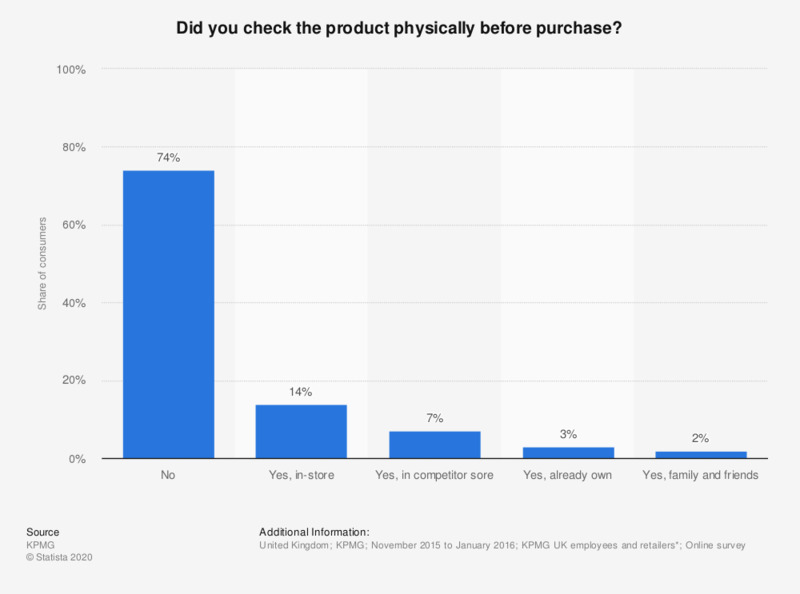 This statistic presents the share of consumers who physically check products before purchasing them online in the United Kingdom according to a survey conducted between November 2015 and January 2016. Of respondents, 14 percent stated that they physically checked a product in-store before buying it online. * Survey data was collected from over 1600 KPMG UK employees and 250 retailers during Black Friday and Christmas period (8 week period from November 2015 to January 2016).